Home / News / It's between Prabhas and Sukumar for Akhil! It's between Prabhas and Sukumar for Akhil! 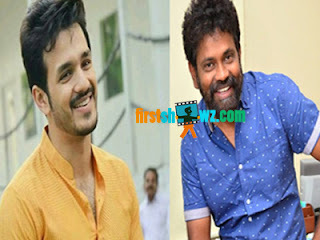 After Hello, Akhil Akkineni has given his nod to Tholi Prema director Venky Atluri for a new movie, and this film has been under production from a while now. And now for his 4th movie, Akhil is likely to choose between directors Sukumar and Sathya Prabhas Pinisetty. No Sukumar will not be directing the film but will bankroll it while Kumari 21F director Surya Pratap will don the director cap. It is to be noted that Sukumar himself produced and launched director Surya Pratap in Telugu with Kumari 21 F, and looks like he'll produce his next too, and Akhil will be playing the lead role. On the other hand there's also buzz that Akhil has given nod to Sathya Prabhas Pinisetty’s script after listening to it, and the young hero will also be making Bollywood debut. Well let's wait to see if Akhil chooses Sukumar or Prabhas.